Ælfthryth was a controversial figure. Wife of King Edgar, mother of Æthelred the Unready – and possibly murderer of her step son, Edward? Melisende of Outremer looks at the life of a remarkable person. Hello, David and fellow listeners! This is Rob in the USA. Happy Holidays and greetings from the Golden Isles of Georgia! I haven’t listened to this episode yet- I’m still back a ways and haven’t caught up. I’m still a relatively new listener. I’m a coin guy, you see (longtime collector and part time dealer). And I love old English coins. 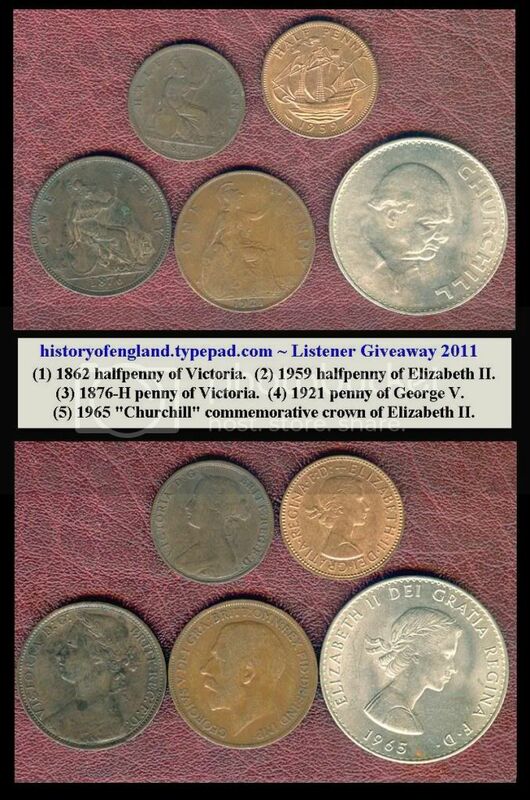 So I thought I’d pledge a giveaway of some fun old coins. Nothing super valuable, mind you- I haven’t got the money to offer up a nice gold sovereign or Anglo Saxon penny, though I do periodically get inexpensive medieval coins. If David would see fit to make a short announcement in a future episode, and challenge all listeners to “stand and deliver”- in other words, stand up and be counted by posting a comment- then I’ll take a random number generator and select a winner from amongst those who commented. (In other words, the digital equivalent of drawing a name from a hat). I enjoy podcasts like this immensely- they make my dull overnight shifts more tolerable. So what say ye all? Want to win some coins? Just add a comment or do whatever it is David decides to announce. I stand by, ready to donate them. Don’t forget his PayPal donation link, too. I’ve been too cheap to use it thus far, so let this be my first modest contribution. If the response is good, then hey- who knows- maybe I’ll do it again later, with an even older and better coin or two! DISCLAIMER: David had no prior notice of me offering this. I’m going under my own initiative, here. If he decides for whatever reason that such a giveaway would cause problems for him, then it’s off. But otherwise, it could be fun, eh? Hi Michael. I did just try it, and it worked me me, so I can’t recreate the problem. As an alternative, you could fine the ‘History of England Guests’ podcast on iTunes…? Sorry for the problem.